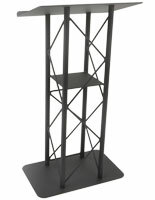 Imagine Ordering A Podium Today & Getting It Tomorrow, We Make It Happen! 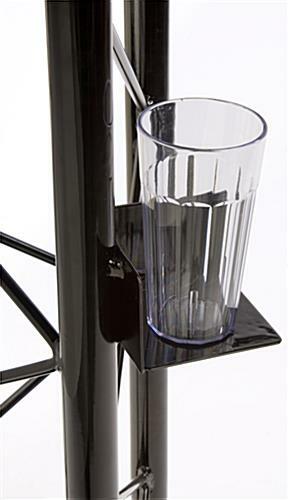 Futuristic Design & Styling, With A Cup Holder For Added Modern Convenience! 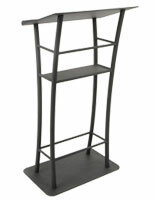 This podium is made from durable aluminum with a steel base and top. 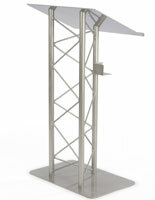 This podium features a contemporary truss design. 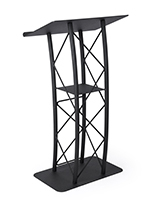 Any conference room or business presentation will look sleeker when the speaker is standing behind this impressive podium. 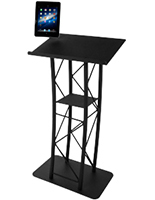 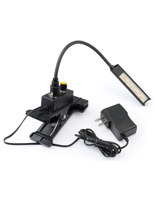 The podium, like a presentation stand, has a cup holder built into the middle of the stand. 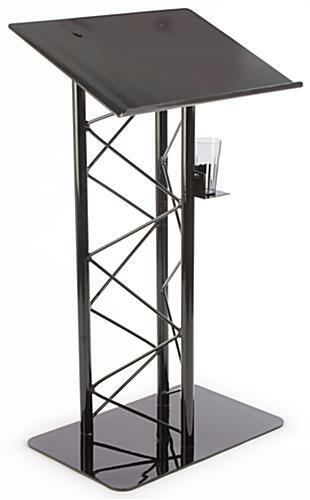 A cup holder is perfect for holding beverages in your podium relatively out of sight of the audience. 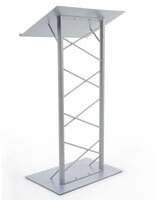 A floor lectern is an ideal podium for use in business conference rooms, convention centers, and even school settings. 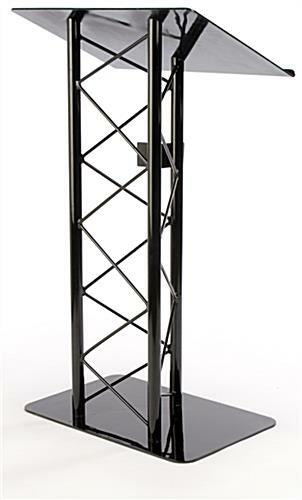 A podium, also known as a presentation lectern or floor lectern, has a powder coated black finish that brings a striking presence to any room it is placed in. 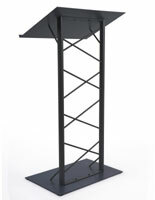 A truss lectern, podium has a large top surface area that holds books and lecture notes quite easily. 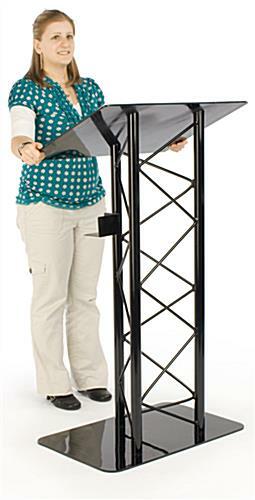 A lip on the bottom of this surface keeps your lecture material from sliding off. 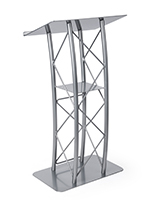 This floor lectern, podium uses an exciting design to draw the focus of your audience towards the speaker, ensuring all are paying attention to their presentation.